When you first start teaching your baby sign language, pick just three to five signs and reinforce them with lots of repetition. You want to pick words that are meaningful to your baby and that you will get the chance to use a lot during your day. 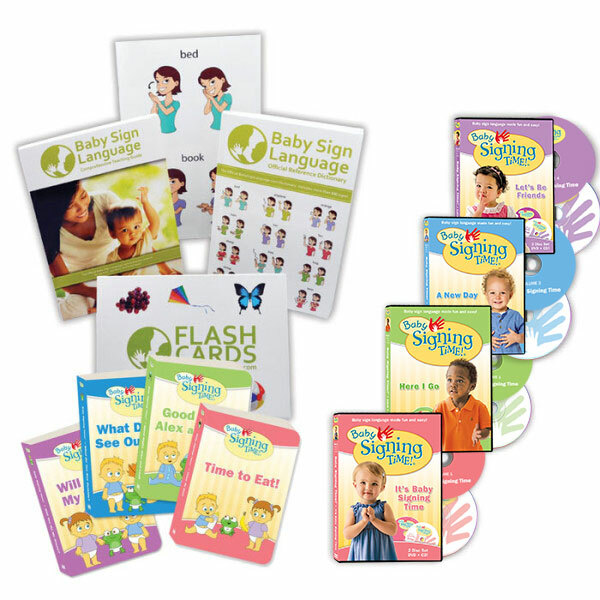 Repetition is the secret behind teaching baby signs. Here are ten signs that make good first signs. The people around baby are the most important things in her life, so make great first signs. Mom – mom is number one to your baby and you spend a lot of time together so makes a great first sign. Since you are there in person you probably don’t need the flash card, but printing it out might help you learn the sign. Daddy – the dad sign is another one that babies are quick to latch onto. Friends/Family – close family or friends that your baby gets to see a lot of are also great first signs, particularly if they are caregivers for your baby. For example, brother, sister, uncle, aunt, grandmother, or grandfather. Pets – if your baby’s collapses into giggles everytime your dog or cat gets near, then these are going to make good first signs. A close second behind family is food. The food signs are also useful because they let you avert tantrums by letting your baby tell you what she wants instead of crying. Milk – milk is a natural choice to teach young children whether they are drinking breast milk, cow’s milk, formula, or even goat’s milk. More – more is a very practical sign because it lets your baby communicate when she really wants more food, and when she is not really interested any more. You can also do a few signs for things that your baby thinks of as fun. Fan – babies seem to have an obsession with overhead fans. They just love them. Similarly, the overhead light is very popular. Animals – babies enjoy learning anything to do with animals. You up the fun level by making sounds to accompany the signs. Try the signs for lion, monkey, or frog. Happy – the happy sign lets your baby share when she is having fun which just spreads the fun around and makes her even happier. Book – for children that enjoy story time, this is a sign that baby’s are highly motivated to learn. Remember, we only want to pick less than five signs to start. The ones I would pick are: mom, dad, milk, more, and something purely fun like dog. this is good even for older kids learning sign language im 11 and a boy in my class speaks sign language this website has helped me communicate with him!!!! how much is the complete package? I am from Philippines how much it will cost to me? The prices are as listed for the kits in US dollars. We have a flat fee of $20 for international shipment. this is a very informative website. our grandson is 15 months old and learning sign language in day care. we felt it important for us to learn since we keep him a lot and he has been signing to us. My little girl, Alyssa Ashley, learned to sign as early as 8 months old. Now that she is 20 months old she already know alot of ASL. She is now potty trained with the help of signing. We do not have problems with her speech as she is speaking a few fluent words now like “KOKO KRUNCH” “ASH-LEY” “COKE” “HAM” “MOMMY” “TEN” etc… Every day is a fun filled day for us. I am a proud momma because my little girl knows how to communicate with us even before she speaks. 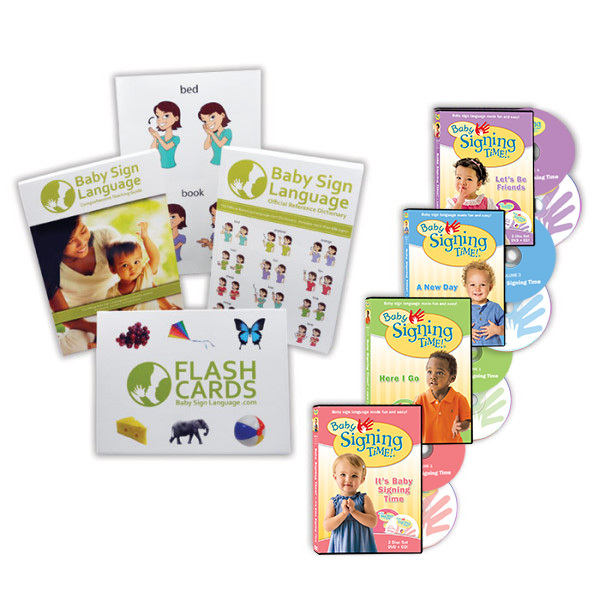 Not at all Ashley, in addition to helping little ones with early communication skills baby sign language allows toddlers to become more expressive and adept in the usage of gestural communication. This is a valuable lifetime skill. Go for it! My daughter is 14 months and 4 weeks now I have been trying to teach her how to sign for a week now, but is it to late to teach her to be effective? LOVE THIS SITE!!! I am trying to teach my 11 month old sign and this is the best site I’ve found as far as showing you the signs with photos and describing them too…!!! And for Free!?!?! Love it!!! This site is great! We just found out that our 21 month old son has a speech delay and we are starting to teach him to sign as part of his speech therapy. I love all the video’s, they really help our family with performing the correct signs! Thank you so much! Want to say a sincere thanks. We started our child pretty much during his first week. Between 9-10 weeks he appeared to be making the ‘daddy’ sign, though we put it down to coincidence in his movements. He’s 13 weeks now, signs ‘daddy’ quite noticeably and is beginning to use ‘mommy’ when she’s not about. We’re going to reinforce those till the end of this month while introducing ‘hungry’. We’ll then begin introducing other signs, one per month, to build his vocabulary. Its fantastic stuff. Our thanks again for the access to the info and the help. this site is awsome I was about to pay 50 dollars for another similar site. My son is over 16 months old and I can’t even get him to wave goodbye! I’ve been trying to teach him things like “more” and “all done” since he was just a couple of months old, but he refuses to do it. Lately, he’s been pointing at things and saying “Da?” (we figured out this means “what’s this?”) but he never tries to do any signs or say anything. He only knows one word (“Hi!”), and has said “ducky” and “mama” once and then never again. He appears to be developing fine in all other areas (motor skills, etc). Is it possible that he’s just really stubborn? Or is something wrong? Children can have very different language development windows, the times when they become most receptive to communicating both via signing and speech. 16 months is on the later side, but not unheard of particularly for a boy. Does he react to hearing certain words? – that is a developmental milestone we would have expected him to have hit by now. Whenever in doubt, I would take him along for a visit to the Pediatrician. It may be that his language window is just going to open a little later, but if it is something more serious you will be glad you found out early. And if it turns out to be nothing, then it will be a relief and you can stop worrying. My husband and I are using as many signs as we can fit in a day with our 7 month old. We started at about 5 months to help us get in the habit. We can’t wait until we can start seeing results! Thank you for the wonderful site, I love the big pictures and clear definition of movement. My husband and I started teaching our (almost) three-month-old baby this. I’m excited to see results. Great site–the videos really help; thank you! Great website. My baby is almost 5 months old and i’ve being looking for websites where i could learn and teach my baby, but nothing really convinced me. I am so happy to have found you, even more happy because i get to learn and tech for free!! I’ll share this website with my friends !!! Thank you for a wonderful website. It is clear, consistent, graphically pleasing, and well organized! And free! We have been using sign language with our daughter since she was 6 months old. She’s now 12 months old, and I love that she can tell me quietly and discreetly that she wants to nurse. Thanks again! Just getting started … woo! This is such an interesting site. Well done. 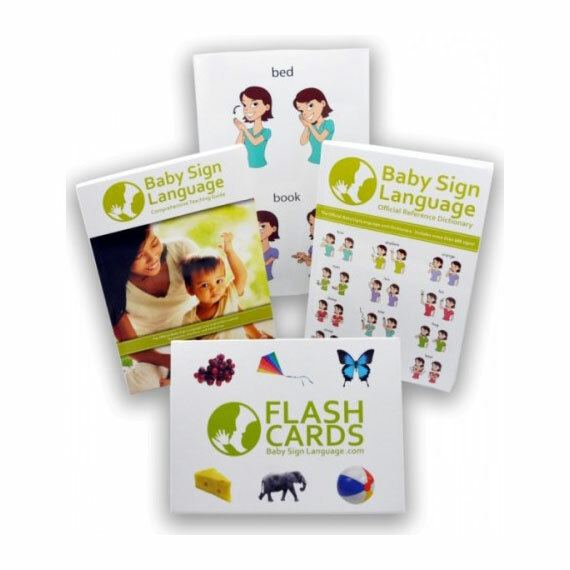 I’m going to print out the flash cards to start teaching some basic sign language to my son Steven who is 8 months old. I’m sure this will help me and my family communicating better with Steven. We have been signing with our daughter since she was 7 months… she is now 17 months, and know’s tons of signs! This is a great site – and I will be sharing it with a girlfriend who just had her first child. It makes it so much easier to deal with communication issues and frustration when she can TALK to me using her hands! This is a wonderful site! I can’t wait to use it, for myself and my friends as well as my new baby when she comes!